Disclosure: Affiliate links are occasionally used throughout this site, which means I might make a small commission if you click on a link and make a purchase. Items gifted & sent for editorial consideration are marked c/o. Thank you for supporting Story of My Dress! Are you a fan of going to the movies? I have such a love for a going to see films at classic movie theaters. 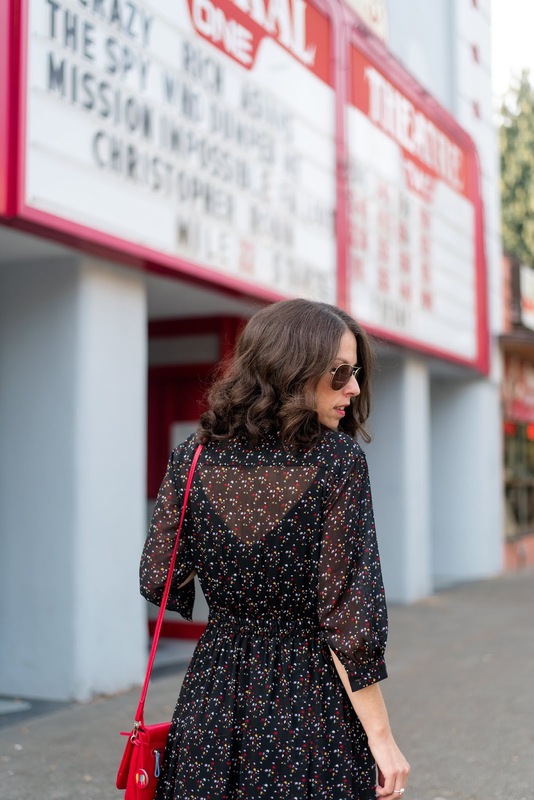 The Admiral Theatre in West Seattle was recently remodeled and is the perfect spot for catching new flicks; while enjoying bags of salty, butter popcorn and old candy favorites. 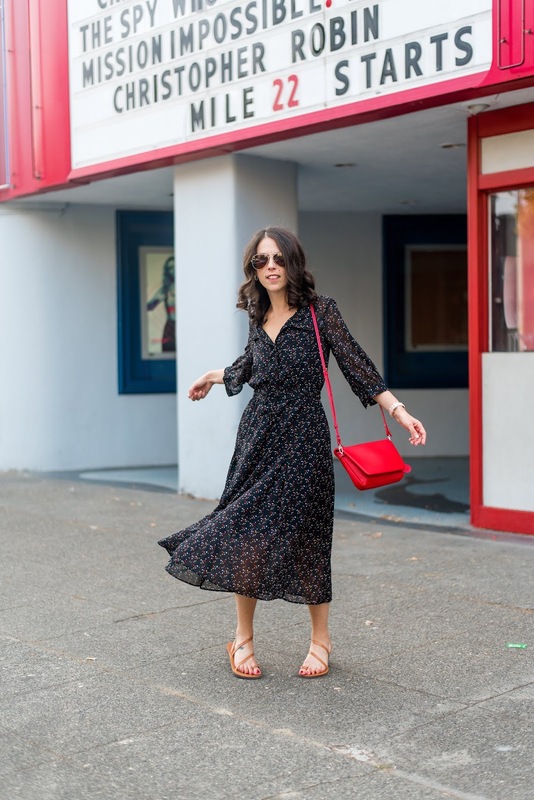 When I spotted this dress as part of the recent Tomas Maier x Uniqlo collaboration, I knew it was the perfect dress for catching a flick and added it immediately to my shopping cart and closet. I absolutely loved the Tomas Maier x Uniqlo collaboration that was released this summer, while my bank account maybe not so much. Up until recently Tomas Maier served as creative director for Bottega Venetta and his whole Uniqlo resort collaboration was so on point. The essential beach inspired collection, every item just perfect for escaping the routine and enjoying life! A few pieces are still available and I'd snag them quick before they're gone! 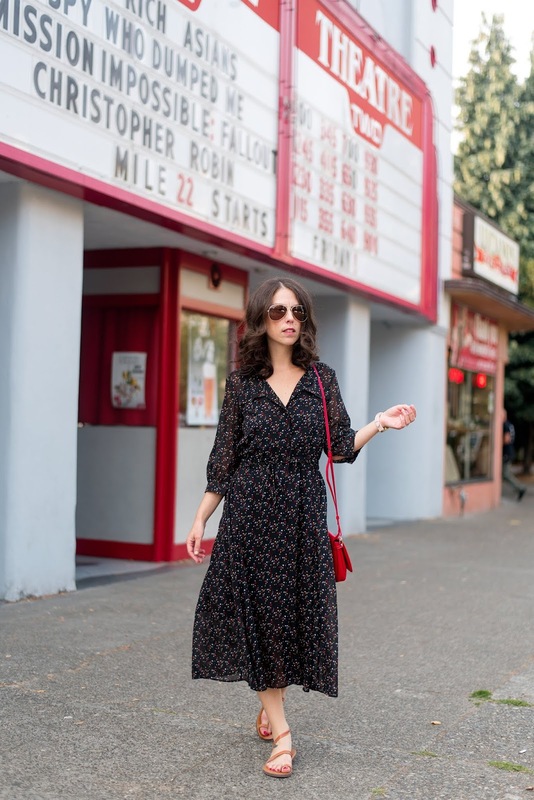 Perfect also for transitioning into fall, I love that this dress is long sleeve for keeping out the cool and maxi dress length for movie seat protection. While it came in a lighter shade as well, I opted for the black for a more season to season approach. 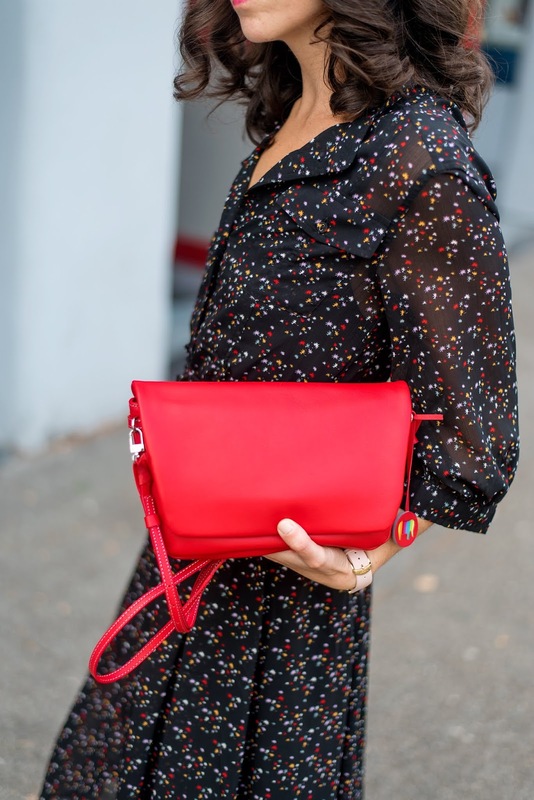 I styled the Tomas Maier x Uniqlo dress with a new favorite bag gifted to me by mywalit. 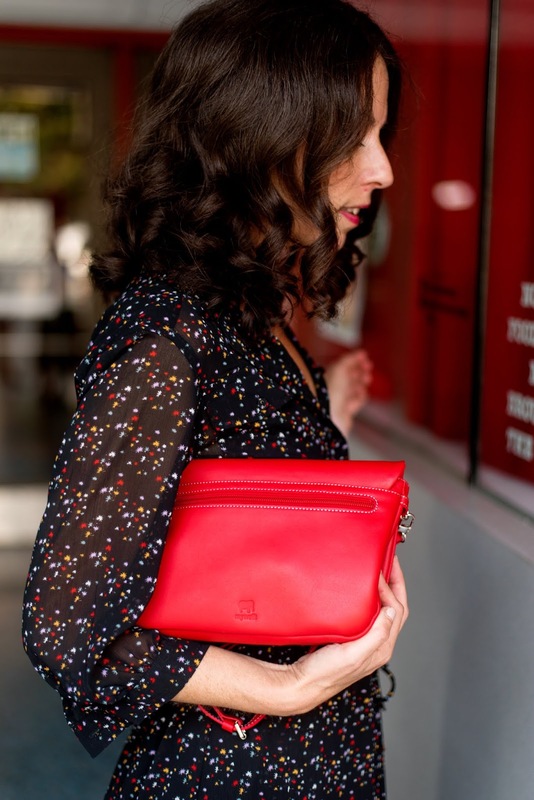 A gorgeous shade of red, the mywalit Bruges Flapover Cross Body Bag is a perfect choice for all the movie going essentials and maybe even sneaking in a few snacks (shhh I didn't tell). The perfect casual style staple. I'm also a huge fan of wearing sandals as long as I can. With summer technically not over until Saturday, this sandal lover is not giving in to boots season quite yet. I purchased these Pagonis Handmade Greek Sandals (similar) on Naxos Island during our honeymoon in Greece in June and wish I picked up 10 pairs. 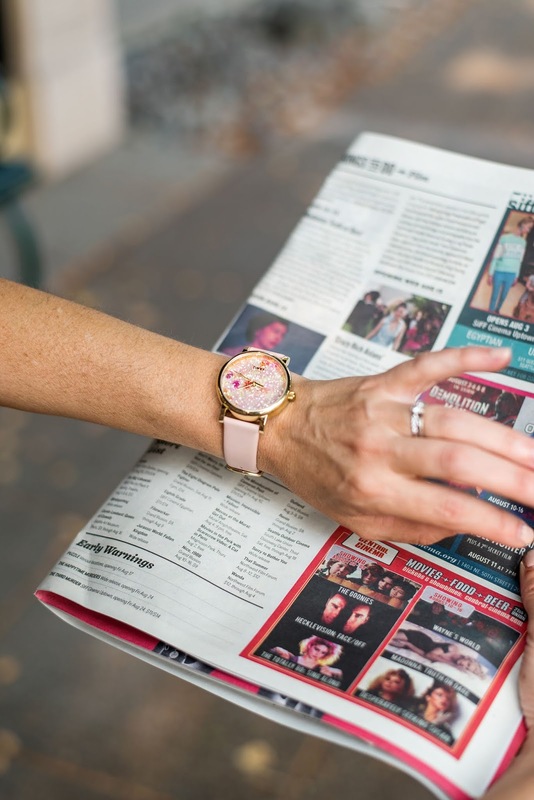 For accessories I added a pair of Jennifer Fisher earrings I purchased during a recent Net-a-Porter sale, a beautiful watch gifted to me by Timex (perfect for keeping track of movie times) and a pair of forever closet favorite sunglasses. And now it's off to the movies! Any favorite films you've seen recently that you reccomend? I'd love to add them to my list! Love the dress, purse, watch, and sandals. And you, of course. Very nice ensemble. Movies: "Crazy Rich Asians" is fun and sweet as well as a humorous send-up of overconsumption. The Mamma Mia sequel is very delightful and makes no apologies for its quirky self. I saw the newest version of "Murder on the Orient Express" on a flight and loved the cast and mystery, was also moved by story. Have fun at the flicks! OH WOW!!! I love your dress. Every time I see one of your outfits, all I can think to myself is where 'she’s getting ideas.